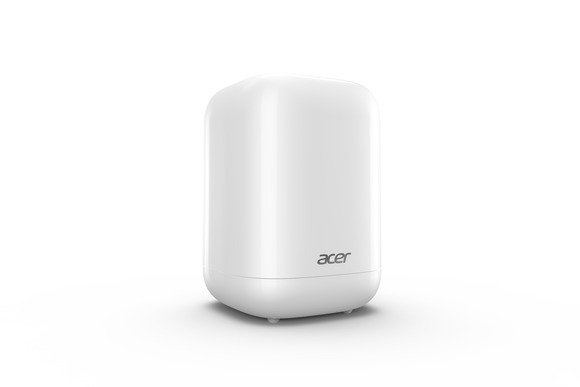 Not many manufacturers are building mini PCs, but it looks like Acer is preparing to give it a go. The Acer Revo One serves the same purpose as Intel’s NUC, but does so with a much more adorable facade. This machine is particularly notable because it was supposed to only appear in Europe. Beneath the tiny tower design resides a choice between an Intel Core i3 and an Intel Core i5 processor. There is no word on how much RAM is installed; Acer has not revealed that information yet. What is known is that it has the Revo One has three HDD storage slots, although it isn’t clear what these slots are sized for. That being said, it is most likely the 2.5-inch drives; as the casing doesn’t look big enough to support three of anything else. There is also two SATA ports that support RAID 0/1/5. As far as I/O ports go, the Revo One is spoilt for choice. 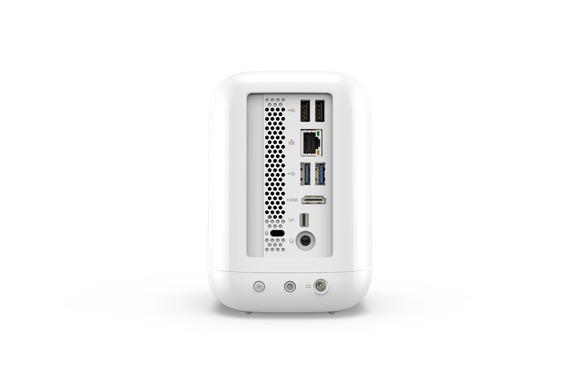 It’s packed with two USB 2.0, two USB 3.0, an RJ45 port, one HDMI, and a Mini DisplayPort. The system also supports dual monitors at 4K resolution via the HDMI and Mini DisplayPort outputs. If that isn’t enough, an SDcard slot is mounted on the top of the chassis. The Acer Revo One ships with an optional multi-use remote control, which indicates its intended status as a media hub or home entertainment controller. A touchpad on the remote allows users to control the computer from a distance and, to make things more interesting, the remote has a keyboard built into it allowing users to conduct searches. Those who would rather not use a remote can also download the Acer Smart Control app and use that instead. Acer had originally announced the price of the Revo One RL85 at €269. Considering that it was never announced for the global market, it will be difficult to say when it will arrive in Malaysia and for how much.